It feels like it wasn’t so long ago when Sonos announced the excellent Playbase, but the company already has a new home theater speaker on the way. 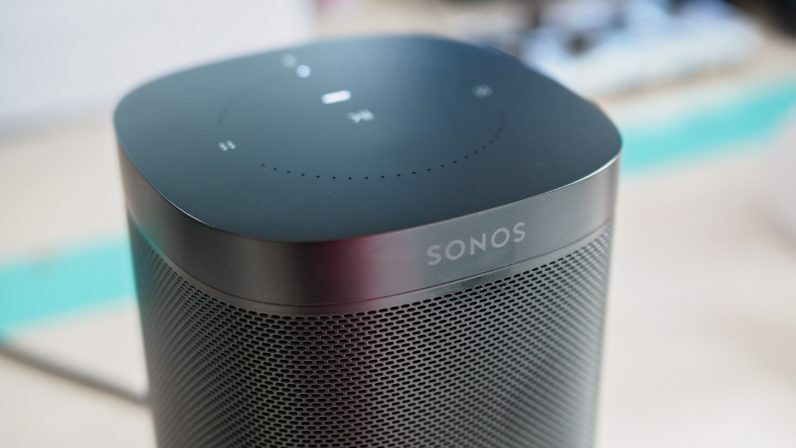 Sonos today sent out press invites to an event on June 6, with a GIF that suggests the company wants to solve the perennial problem of having too many remotes. The filing also points to far-field microphones and Alexa support, which isn’t surprising considering the company has suggested all its future speakers would come with voice recognition. If we’re lucky, maybe the company is finally ready to introduce long-awaited Google Assistant integration. Considering Sonos previously said Google Assistant would arrive in early 2018, June 6 is already a bit of a stretch. Also note that the image shows an Apple TV remote at the center, suggesting the new speaker will be able to control that streaming box too. I definitely don’t expect Siri support, but you never know – Apple’s WWDC event is happening that week too. Siri doesn’t support third-party speakers, but Apple’s developer conference would certainly be the best time to announce such a change. We’ll find out more come June.